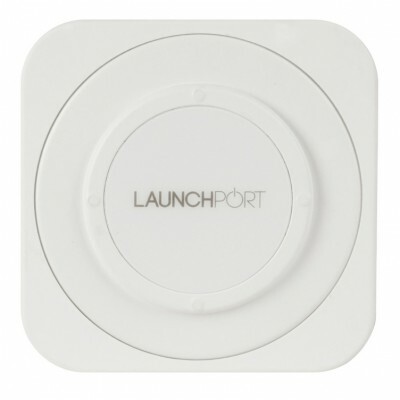 The LaunchPort iPad system will take your iPad to new levels of functionality. Used with the LaunchPort Sleeve, the LaunchPort Wall-Station gives you another mounting option in addition to the countertop unit. Imagine being able to dock and charge your iPad in the most convenient locations, for example just below the stairs, the hallway or family room. Transform your iPad into a digital picture frame or an irreplaceable communication tools for the entire family. The Wall Station charges the iPad while maintaining full iPad functionality and rids your room of messy cables and wall warts. The inductive charging technology behind this product is pretty cool. 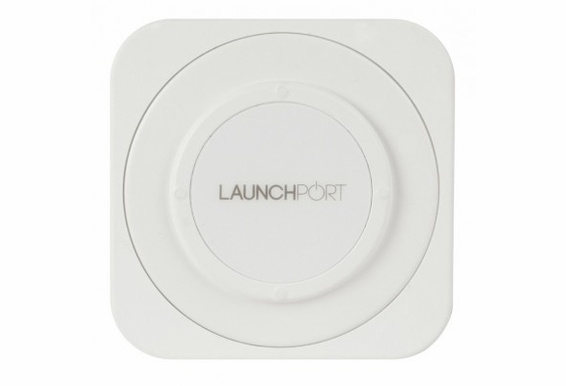 LaunchPort uses magnetic coils that create a transformer, and the electromagnetic energy emitted from the BaseStation or WallStation is picked up by the coil in the Sleeve then transformed into electrical current and presto! Your iPad charges without having to be plugged into a wall via USB cords. Dimensions: 4.90" x 4.90" x 1.42"